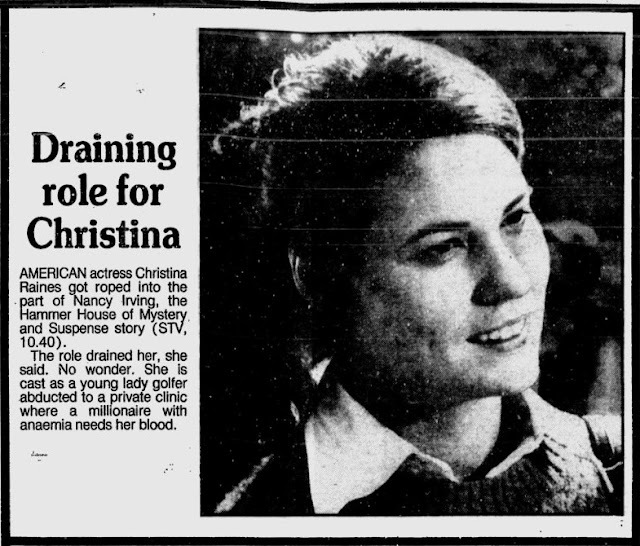 Here's an advert from a British newspaper for Cristina Raines' 1984 episode of Hammer House of Mystery and Suspense. The image of her, however, is not from this project. Rather, it is a picture of her from six years before, from her miniseries Loose Change.